^ 美国国务院东亚和太平洋事务局. U.S. Relations With Taiwan. 美国国务院. 2018-08-31 [2019-04-14]. ^ Political Asia (PDF). 中情局. [2019-04-14]. 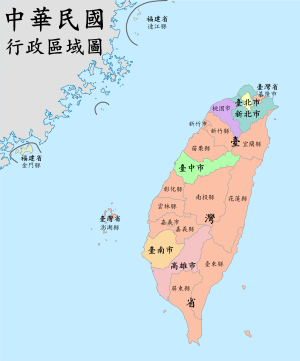 ^ The "Six Assurances" to Taiwan. Taiwan Documents Project. July 1982 [2019-04-14]. The United States would not formally recognize Chinese sovereignty over Taiwan.